Composer Andrew, whose new show Superstar starts on ITV1 on Saturday, hit No 1 earlier this year with Sing. 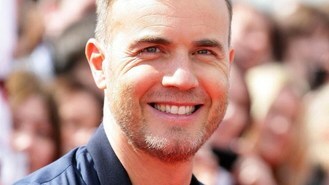 He said: "I'm writing a song with Gary at the moment. It hasn't got a title yet, well it may have because he emailed me with it this morning but I haven't had a chance to listen to it yet. "I've come up with the tune this time and I sent it to him." The man behind hits including Phantom Of The Opera said he would meet up with the Take That frontman this summer to work on the song. He said: "I'm sure we'll get together and something will come out of it. I'm quite pleased with this little song we've done, I'm not sure who we'll give it to, maybe nobody will want it." Andrew also revealed the cast of the new production of Jesus Christ Superstar, which includes Chris Moyles as Herod and the winner of the ITV show in the lead role, might get a crack at conquering the United States. He said: "I don't know that it will necessarily be this cast but I can say this particular tour is going to America. Whether we take this cast I don't know." The composer said it was "a big, big ask" for whoever wins the show and gets the role, and said the eventual winner would have to be able to "hold a crowd in a big arena". This weekend viewers will see the singers from the first auditions being knocked down to the final 40 contenders.